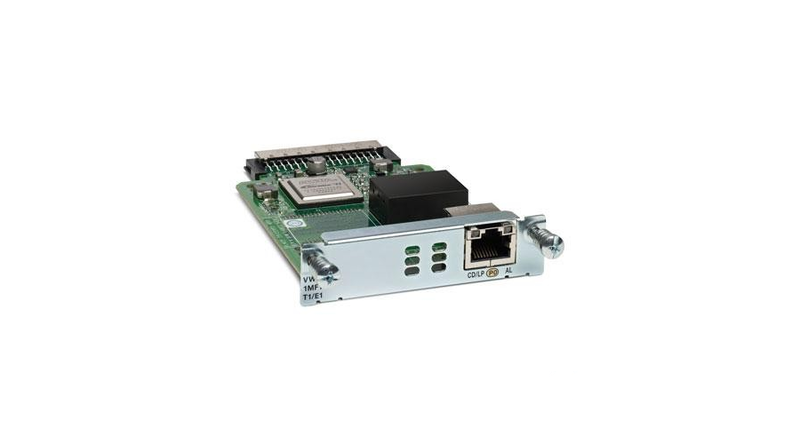 The Cisco MFT VWIC3 interface cards simplify branch-office connectivity by integrating the functions of a router, T1/E1, and fractional T1/E1 serial interface with a fully managed DSU/CSU. The Cisco 1-port T1/E1 MFT VWIC3 version acts as a WIC, supporting T1, fractional T1, E1, (including structured G.703 with G.704 framing), fractional E1, and E1structured G.703 applications. To simplify remote management, this MFT VWIC3 card integrates a fully managed DSU/CSU for T1 deployments and a fully managed DSU for E1 deployments.